"No soldier or officer should ever lose his life or limb in combat, because he was inadequately trained. 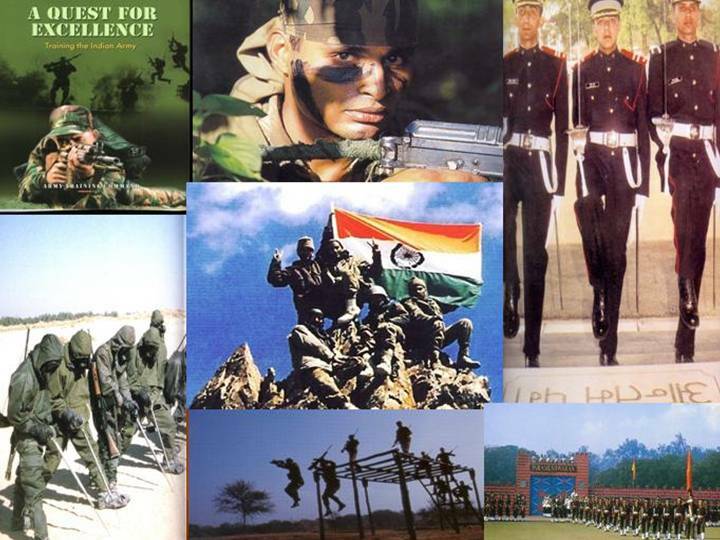 That is the essence of training in the Indian Army." In any army, it is the man that counts. He may be a leader or form part of a team that is in combat, supporting combat or providing specialised/ skilled expertise. Therefore, every individual, team and larger groups (like units/ formations) assume importance for the Army to carry out its roles. And it is only intelligent, imaginative and innovative training that produces good men and cohesive units and formations. The Indian Army prepares soldiers, leaders, units and formations to mobilise, deploy, fight and win across the entire spectrum of conflict. This enables it to accomplish all its visualised and assigned roles and tasks, both in war and in peace. The Indian Army has the task of preparing for all types of future conflicts, concurrently with the prevailing operational and counter insurgency commitments. All preparations and training for war have to bear relevance to a future conflict, not a past one. Training must therefore take into account the environment, technology, battlefield scenario, threat perception and internal security situation likely to manifest itself in the years ahead. The Indian Army has diverse, intensive and variegated Operational responsibilities. Due to constant change in the complexion of the future battlefield combined with rapid technological advances, a need to restructure and streamline our overall training structure was identified. The aim was to maximize effectiveness of our training and establish a dedicated organization for formulating concepts and doctrines, which are specifically applicable to our operational environment. The requirement was to be met by the establishment of a centralized, independent and high-powered organization, with the requisite infrastructure and resources to meet all aspects of concepts and doctrine development, training policies and institutional training. The Army Training Command (ARTRAC) came into being on 01 October 1991, at Mhow in Madhya Pradesh. It subsequently shifted to Shimla on 31 March 1993. Formulation and dissemination of concepts and doctrines of warfare in the fields of strategy, operational art, tactics, logistics, training and human resource development. Acting as the nodal agency for all institutional training in the Army. Evolve joint doctrines in conjunction with other Services. Development and dissemination of standardized doctrines for war at the standardized doctrines for war at the strategic, operational and tactical levels. Development of supplementary concepts for the operational functioning of all Arms and Services, with particular reference to the fields of intelligence, psychological operations, electronic warfare, motivation and training. Carrying out training inspections / audit of relevant training establishments. 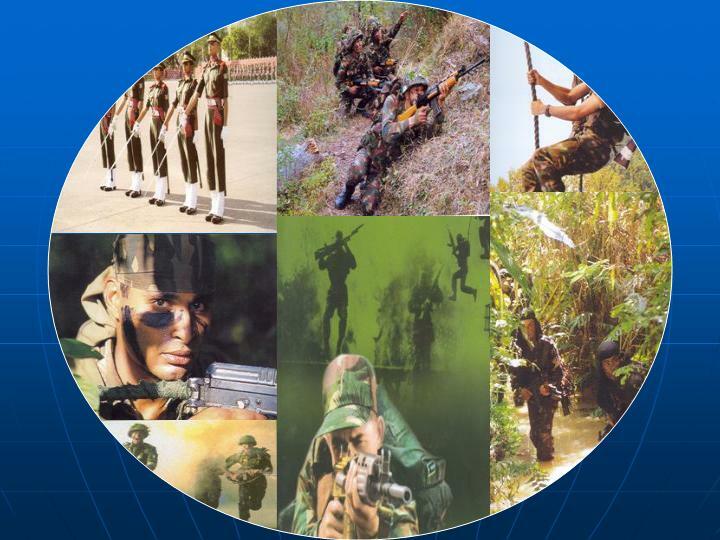 Planning, co-ordination, supervision and implementation of training policy and conduct of training courses, at specified training establishments of the Indian Army. Supervision and monitoring of training in all other training establishments. Preparation of special training repots and training directives. Development and introduction of advanced training aids, including computer war games and simulators. Nodal agency for doctrinal and training aspects pertaining to UN Peace Keeping Operations. Interaction with training commands of other services at the conceptual level. Army level exercises and war-games all aspects of HRD. Control of Indian Army Liaison Officers. Specified aspects of NBC warfare.